Created by Haruichi Furudate, the manga series focus on volley ball got adapted into a Japanese animated TV show by the studio Production I.G (Kuroko no Basuke, Psycho-Pass). While the manga series count 233 chapters, the anime series have three season. The first and second season have a total of twenty-five episode each and the third season count ten episode. The volleyball anime franchise also have video games, a radio drama and a stage play. I’m writing this blog post perfectly knowing the third season is not done yet, but it will get published after the end of the show. So I guess it doesn’t really matter. Anyway people who like me tend to spoil themselves or read the manga, already know the outcome of that crucial last set. Haikyuu!! closely following Kuroko no Basuke as my favorite sport anime show. Both anime are similar and different in the same time. I really linking that fact the one of the main character is not good in his field but still love it and want to prove he can do as much as the member who are better than him. Haikyuu!! concept is really generic, a school that was once at the top want to get back on the track with the other top school. What make Haikyuu!! work is the character. If the cast was boring, the show would had flop. But the character development and the game intensity make everything work perfectly. The show have whole bunch of interesting characters, the comic relief, the one you love to hate, the mister I’m too good for you, pretty sure if you watch the show you will find something to your taste. As for me my favorite character is Kageyama Tobio. He is seen as a genius setter, when he was in middle school, during his last years, he was called the king of the court (maybe more the tyrant but that something else). When he got in Karasuno (cause he couldn’t go to Shiratorizawa cause of his bad score, might be a volleyball genius but he is pretty dumb outside the court), he had to deal with the over-excited-with-no-talent Hinata and team with him for his first match. With Hinata, he didn’t have the choice to let his past bad habit go, he didn’t have the choice but trust that little shrimp. Going in Karusno is the best thing that could happen to Kageyama, if he would had been accepted by Shiratorizawa, I don’t want to imagine how worst thing could have been for him. The show itself have a pretty good animation, Production I.G are good when come to produce sport anime. 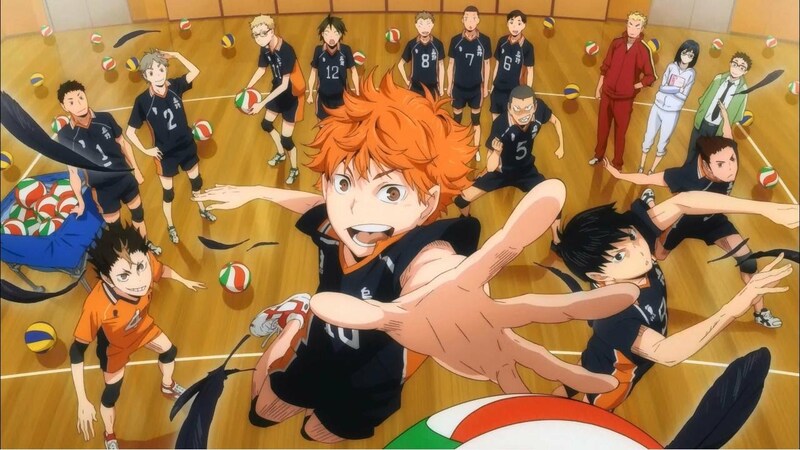 If you watched and enjoyed Kuroko no Basuke, I will suggest you to watch Haikyuu! !, you might enjoy it as well. My only complain about the show it that we don’t get to see them outside any volleyball related event enough. I would had like to see them trying to get along outside the club activities and the walk home after school doesn’t count. 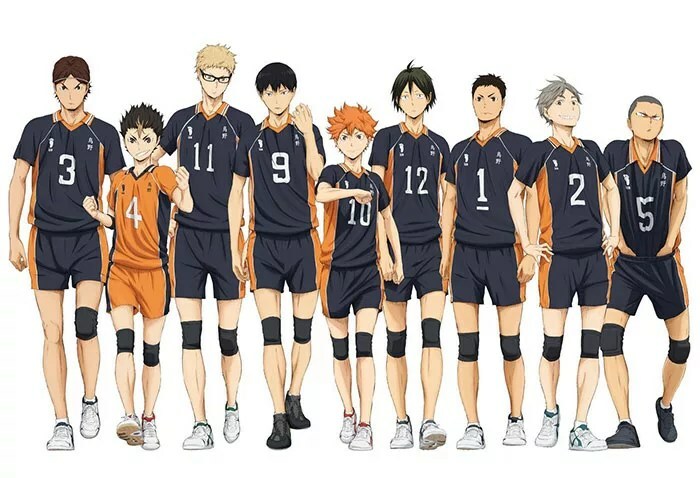 anime, Anime Series, haikyuu! !, hq!! Mel in Anime Land Haikyuu! !